“Now They May,” because Trump won the election. “The president-elect is certainly one to hold grudges.” Here’s the nub of the story. “Let’s state the obvious: Donald Trump and … Jeff Bezos do not see eye to eye. And that becomes a more concerning prospect for Bezos and Amazon now that Trump is president-elect. In May, after learning of the large team of Washington Post reporters looking into his past, Trump told [Fox News] that Bezos was using the paper to damage Trump’s chances because he feared what a President Trump would mean for Amazon. 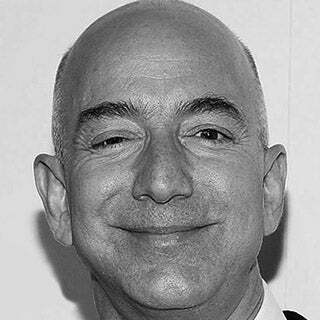 I remember when Bezos bought the Washington Post, there was a lot of curiosity about it. “What the hell? 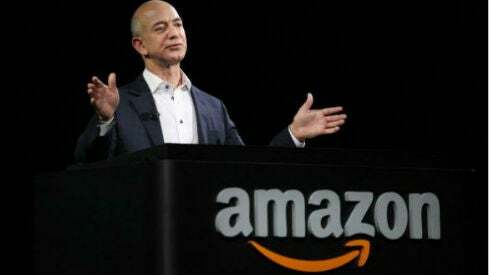 I mean, he’s an uber-leftist, and everybody’s known he’s an uber-leftist, and he’s an uber-leftist donor.” I remember the Washington Post staff, when it was announced that Jeff Bezos of Amazon had bought the paper, they were panicked. “He’s not a journalist! He has no journalism background. The guy’s a filthy capitalist retailer happens to be a big leftist!” And they were worried because, as an outsider, Bezos doesn’t know what he’s doing. Bezos doesn’t know journalism. He’s an outsider. I think it’s perfectly clear why Bezos bought the Post. Look, he bought it before Trump became president. I’m not saying anything there. I’m just saying: If you own the newspaper that reports on Washington and everything happening there, you’re gonna be deferred to greatly if your reporting is positive. And so Bezos of was buying, I think, a huge insurance policy here. This is no different than, you know, buying a lobbying group. You know, when you’re a retailer or a business, you have to lobby Washington because lobbyists and K Street actually run that town. That’s where legislation originates, by the way, not in Congress. So you either hire a big lobbying firm to represent you and push your interests and make your cases known to members of Congress, or you buy the Washington Post, where a social page profile can make your life. So here’s Bezos owning the Washington Post, which gives him total control (if he wants to exercise it) of the editorial content of the paper. That’s better than any lobbying firm he could have ever bought into or hired. And with the threat here that Trump might pursue him on antitrust, I think there’s a whole dynamic here going on that may be a little bit beneath the surface. RUSH: Grab sound bite 25. This is May 12th. This was on Hannity on the Fox News Channel. He interviewed… It’s actually May 12, 2016. I’m sorry. So it’s almost a year ago, and this is the Post-and-Bezos thing that I was telling you about. Hannity says, “The Washington Post announced that they have put twenty people to dig into every single phase of your life. Are you prepared for what’s coming? It’s not ‘if’ it’s coming, but ‘when’ it’s coming,” and are you ready for it, Mr. Trump? THE PRESIDENT: Every hour we’re getting calls from reporters from the Washington Post asking ridiculous questions. And I will tell you, this is owned as a toy by Jeff Bezos, who controls Amazon. Amazon is getting away with murder tax-wise. He’s using the Washington Post for power so that the politicians in Washington don’t tax Amazon like they should be taxed. I would go after him for antitrust, because he’s got a huge antitrust problem because he’s controlling so much. Amazon is controlling so much of what they’re doing. RUSH: So you see, you cannot remove the Bezos versus Trump subplot from this. ‘Cause Bezos could be sitting there saying, “This fool challenges me? This fool threatens my antitrust status? I’m gonna show him who’s who.” He goes out and buys the Post, and here we are. The Washington Post is getting more leaks than New York Times is, folks. And if not, I mean, it’s neck-and-neck. Wouldn’t you agree? The Washington Post is leading this charge in more ways than not.